2°C, grey and still. No rain. I rode cyclocross Jake with MapMyRide+! Distance: 24.25km, time: 01:42:43, pace: 4:14min/km, speed: 14.17km/h. Look at that flash of red. A tree, with broken branches. The scarlet wound stood out from the steely grey autumn landscape. I cannot get over to look closer, the canal is a complete barrier. 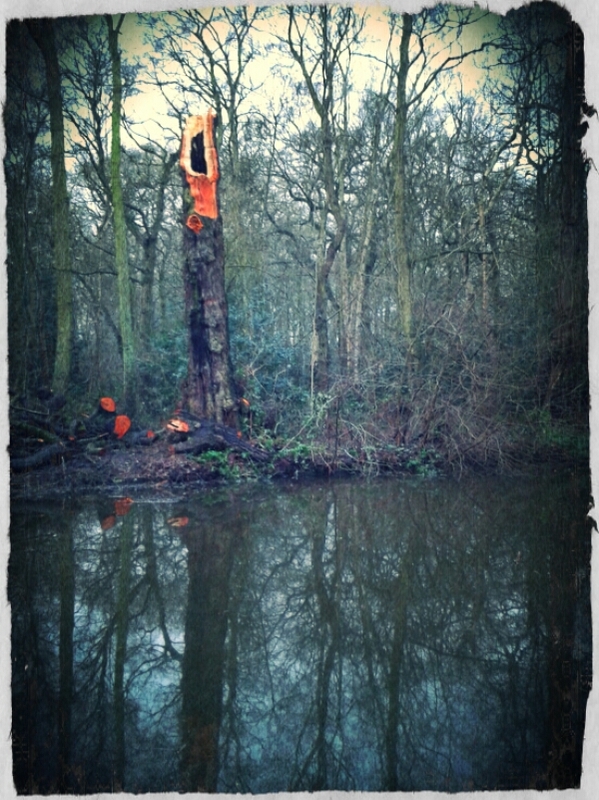 This entry was posted in cyclocross, Gravel and tagged canal, cold cycling. Bookmark the permalink. 2 Responses to Cold deep mud. Wow such a striking image – really impressive! I’d love to know what kind of tree it is. Thanks for dropping by.